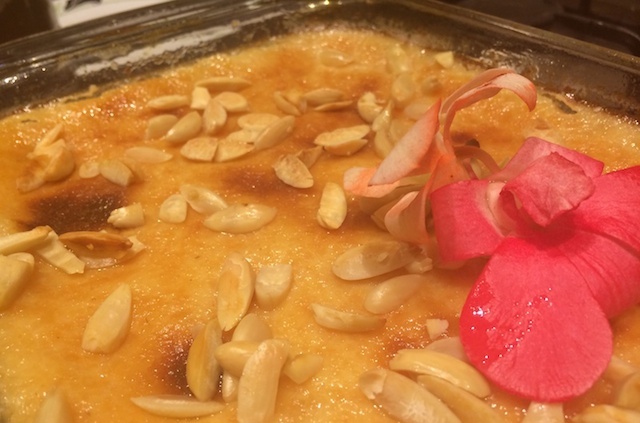 Since I’ve started the Bawi Bride blog and the Bawi Bride Kitchen, my Lagan nu Custard has been one of my signature recipes. Made with milk, eggs, sugar and condensed milk, this dessert is a true indulgence and as mentioned previously a staple in many Parsi households. While many would argue that classic dishes shouldn’t be messed around with – I am of a different opinion and feel that they give us a sound base through which we can explore our creativity. One such experiment for me was the Lagan nu Custard icecream for example which became such a hit with my fellow food bloggers that I actually introduced it onto my menu as a regular dish! It’s for this reason that when my fellow food blogger, Elson Sequeira of The Tummy Tales fame asked me to do a guest post on his blog, The Tummy Tale that I decided to share another variation on the classic Lagan nu Custard – the Badam nu Custard. The Badam nu Custard is the richer cousin between the two but won’t be seen often at weddings due to the high cost involved with all the almonds required. Nevertheless, it is a great treat for the tastebuds and definately a Parsi dessert that you should try your hand at! Ingredients are below as always. 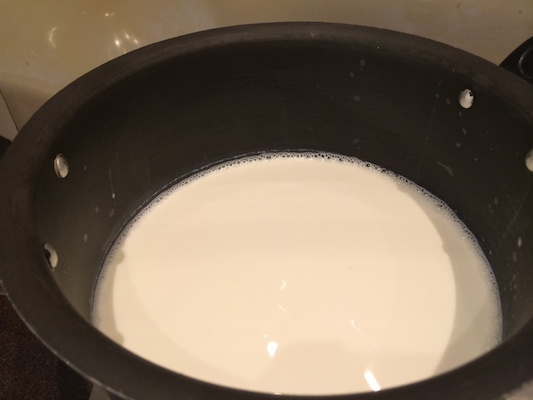 Start by placing the milk in a large heavy bottomed vessel and bring it to a quick boil. While this is happening, boil and peel the almonds. 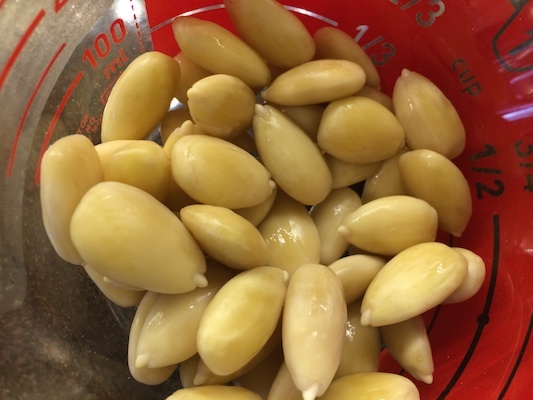 Grind these almonds along with the rose water. 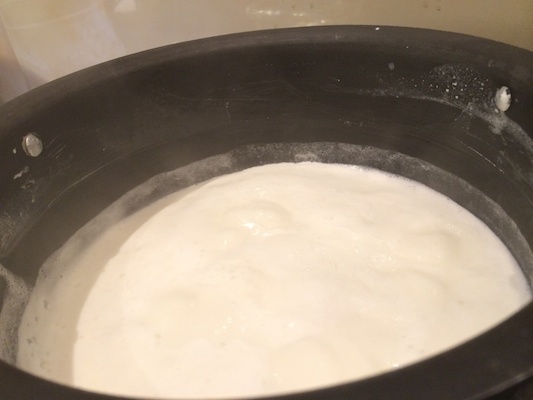 Once the milk has come to a boil, add in the sugar and cook it over a medium flame. 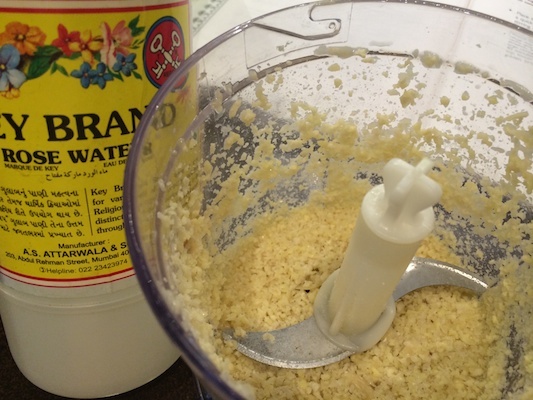 Stir the milk continuously until almost a quarter has evaporated. Remove from the fire and add in condensed milk. Stir and cool. Also, at this point, preheat the oven to 200 degrees. 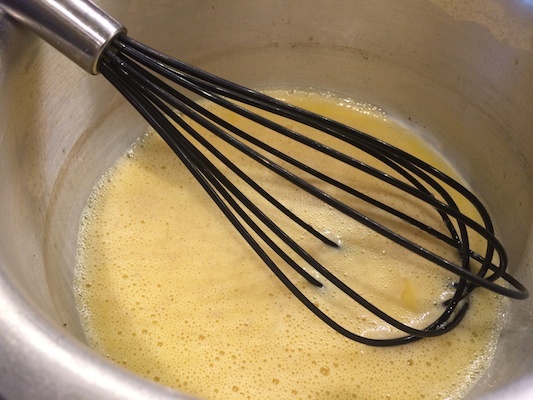 Next, whisk the eggs and add in the nutmeg-cardamom powder. 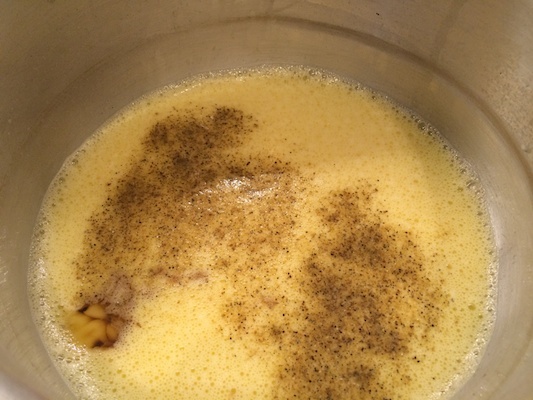 Add this egg mixture as well as the almonds to the milk. 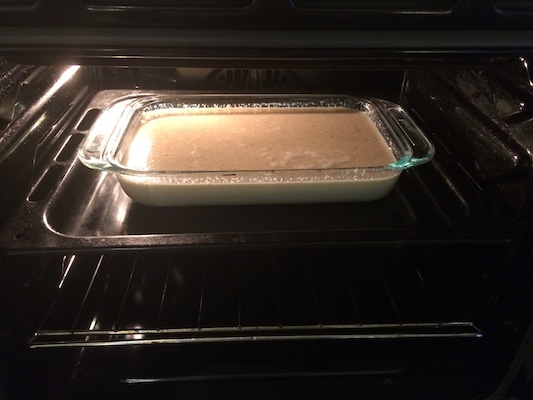 Pour the custard mixture in a large baking dish and bake at 200 degrees for 40 – 45 minutes. 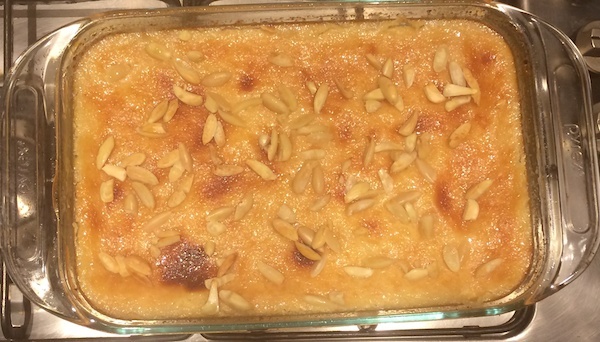 Garnish the custard with some sliced almonds and bake for another 10 minutes until the top is golden brown. Chill the custard prior to serving. Enjoy it with some vanilla ice-cream or just by itself. I am CERTAINLY going to try this, after the success of my Lagan Nu custard over the weekend !